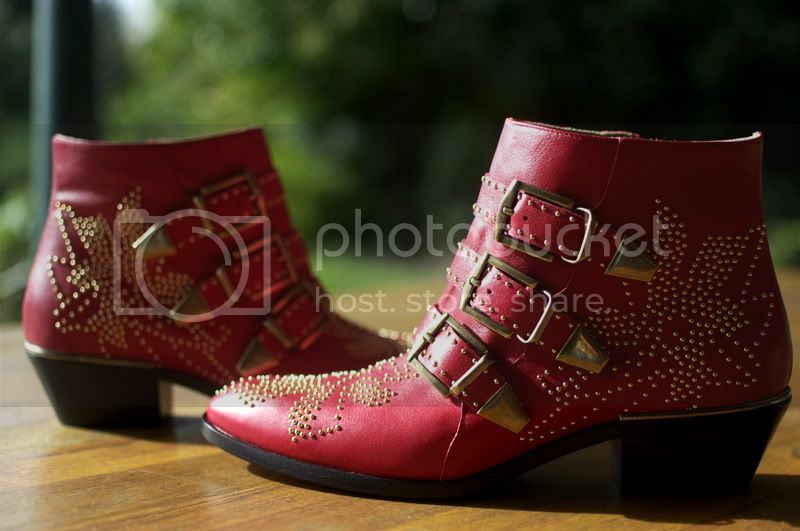 Brigadeiro: Recent Buy: Chloe Susanna studded boots - Christmas in July? 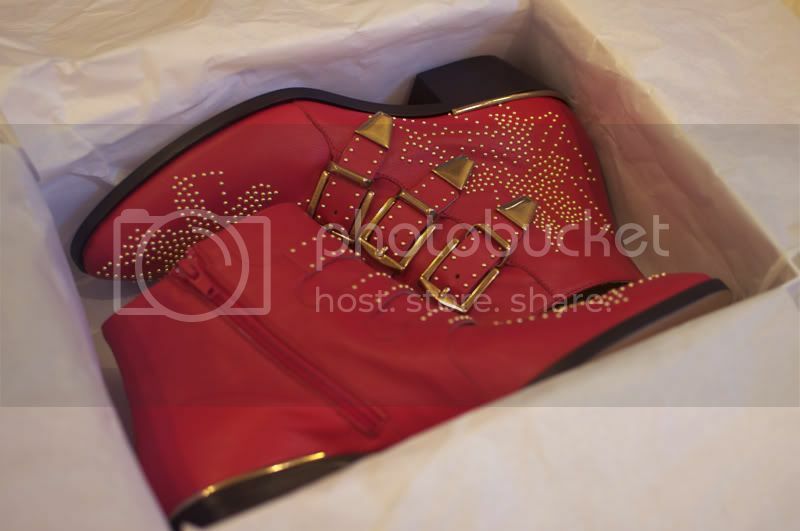 Recent Buy: Chloe Susanna studded boots - Christmas in July? Ok, don't laugh, but does this shot remind anyone else of the Wicked Witch's shoes poking out from under Dorothy's house in Wizard of Oz? 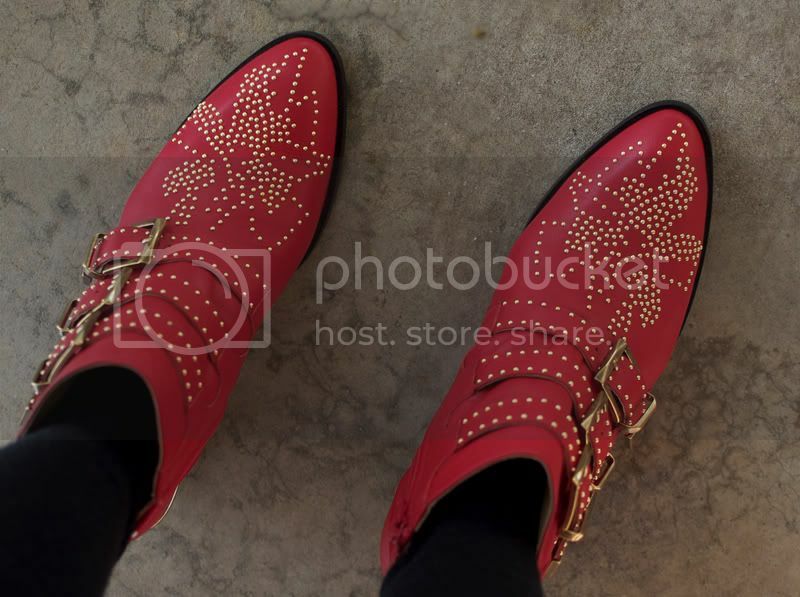 A different take on the ruby red shoes perhaps? you can find a pair here. Ok, now I am trying to work out if there's a way of growing a money tree to save up pennies for a black pair. Love! 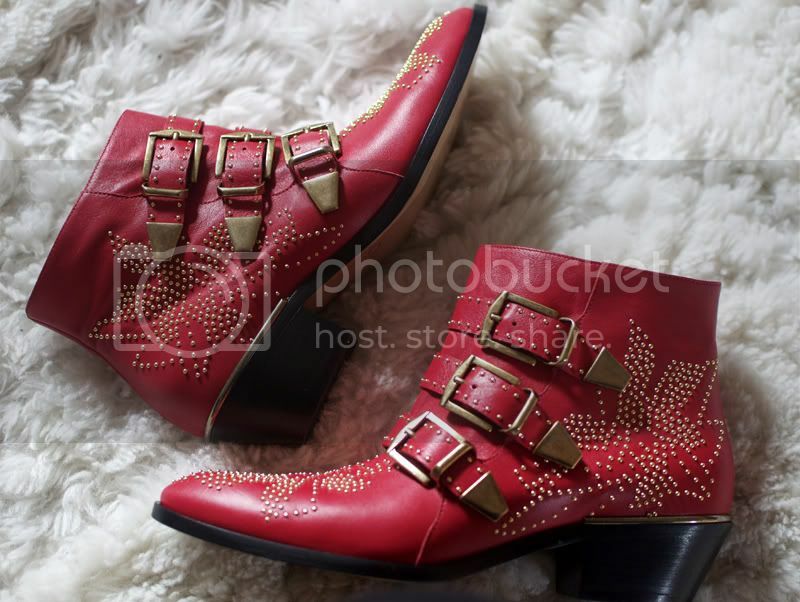 I have the Zara version of the red boots, and I wear them even though I do look like Elvis. I change my vote to red - I think they look better in your pics. No way could I afford them though! I'm sure there are many goodies in that wardrobe of yours which if you thought long and hard about could go to a new home if it meant getting to own the black ones. 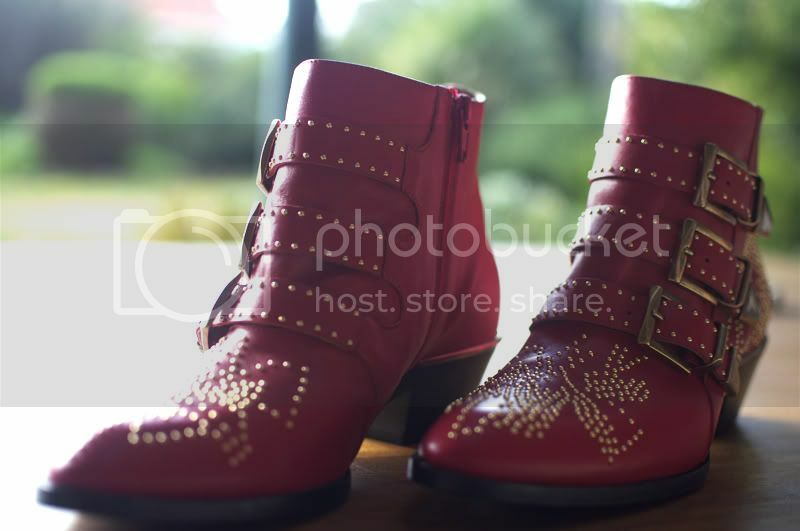 Those boots are gorgeous, I really want a pair! How did you find the sizing?